The Clackamas County Arts Alliance and the Pamplin Media Group have partnered to create a unique opportunity in which Pamplin Media Group will produce and distribute a quarterly arts, cultural heritage and tourism guide for Clackamas County. This full color guide will be a minimum of 16 pages and will be distributed to more then 110,000 readers of the Pamplin Media Group’s nine community newspapers that serve all of Clackamas County. Additional copies will also be available at select locations throughout the county. 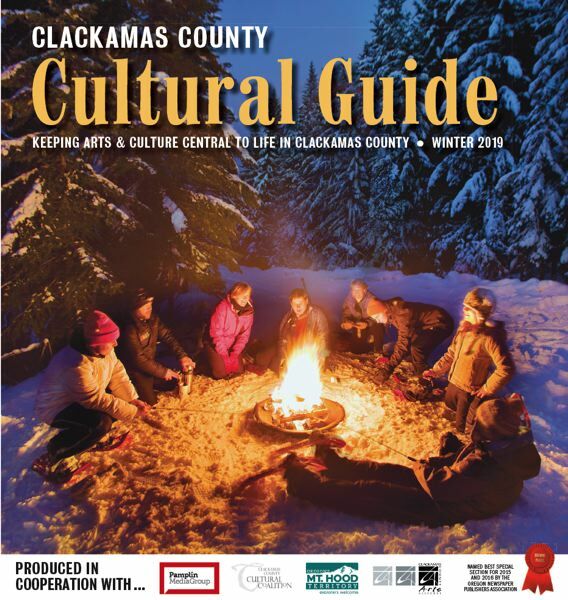 In July 2016, the Clackamas County Cultural Guide took second place in the Special Sections category awarded by the Oregon Newspaper Publishers Association! I read this article and found it very interesting, thought it might be something for you. 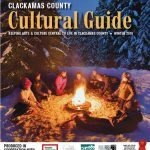 The article is called Clackamas County Cultural Guide and is located at https://clackamasartsalliance.org/news/arts-alliance-news/clackamas-county-cultural-guide-2/.